Please note: We believe that this show is suitable for everyone aged over 11, but would like to remind you that Brecht’s politically provocative play explores power and conflict. It contains some strong language and sexual references. Review from Lia Sumners, age 12. Visit our backstage section to see rehearsal photos and find out more about the show. There is also a 20 minute documentary about why Brecht is still relevant today, featuring Dr Laura Bradley from the University of Edinburgh. 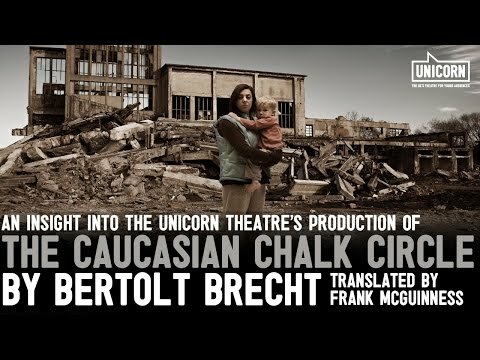 Why is Brecht still relevant today?